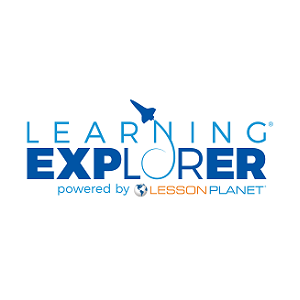 Lesson Planet’s Learning Explorer is an award-winning learning object repository (LOR) and curriculum management platform that has been designed by educators to help educators easily discover, design, personalize, and deliver innovative, relevant, and inspiring curriculum. The Learning Explorer's library of resources includes both curated, open educational resources (OER) and district licensed educational publisher content. The Learning Explorer is a one-stop, single sign-on, cloud-based solution that makes it easy for teachers to manage, organize, and assign curriculum resources to students using an intuitive, drag-and-drop, user-friendly interface.